My current unit of inquiry is about keeping our bodies and minds healthy. We have done lots of inquiry into keeping our bodies healthy and we are going to focus on our minds in the coming weeks. Here are some of the techniques we are going to try out. 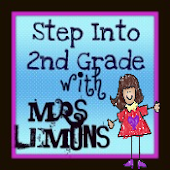 I was wondering how to introduce the concept of mindfulness to children. An classmate of mine from university suggested starting with a bottle of water and glitter. Shake it up and explain that this is what our mind is like when it is full of thoughts - really all over the place. Then allow the bottle to have some time to settle and watch as the water clears and the glitter settles. It's a very simple and effective analogy. If you want to be super fancy, follow this recipe for a mason jar version. Thanks to Ms Forde's Classroom's lovely blog post, I've now ordered Mindfulness Matters' "The Zone" resource. The download hasn't worked yet but I'm hoping to get that sorted ASAP. 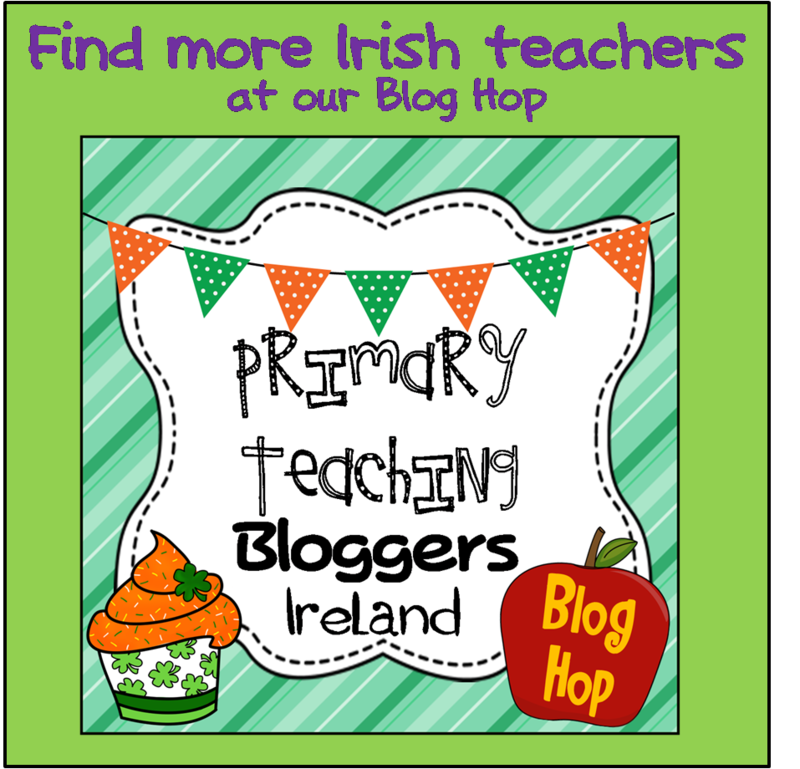 I am really looking forward to trying it out with the children. We're going to do some Yoga as mindful moving. I don't know a lot about yoga. I've used videos on YouTube in the past but I wanted something that I would be able to teach myself. 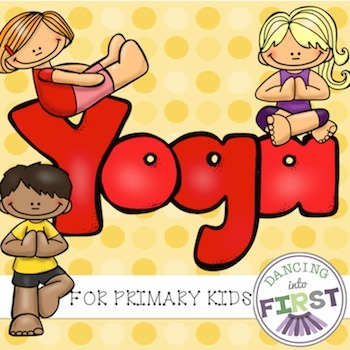 I decided to purchase this yoga resource made by Dancing into First for $4 on TPT. 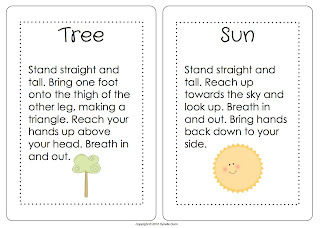 It has instructions for 20 different poses, written in easy to follow language (Good for teacher as well as students!!) and each pose has a child-friendly name such as "dog," "plane" or "tree." A thoughtful friend of mine got me a book entitled, "Art for Mindfulness: Geometrics." It's basically an adult colouring book - right down my alley! I found lots of "mandala" colouring sheets available to download for free from Education.com. You'll need to create a free account to download them. 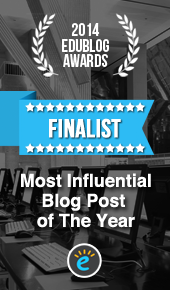 It's worth your time as there are lots of great free resources on there! 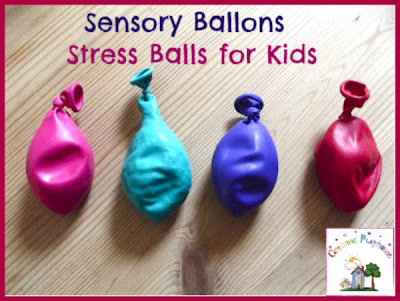 Creative Playhouse has a wonderful post on how to make child-friendly sensory balloons which work similarly to stress balls. Here you can see how they can be made with different household materials. The children can then play with them and feel the different textures, describe how they feel and discuss which ones they prefer. Mindful eating is another area that could be discovered. As my school has a very strong healthy eating policy, perhaps we will do this with fruit. The idea is to get the children to really focus on the process and sensations associated with eating. The Guardian has a free PDF with guiding questions about mindfully eating chocolate. Again, you need to sign up for free to download it. We will focus on recognising different feelings and finding strategies to control negative feelings and help us to calm down. Last year we had a worry box in the classroom. There the children could anonymously write down their worries and then "send them away!" I also encouraged the children to make their own worry box to keep by their bed. I absolutely LOVE Kristina Marcelli's take on this where she made a worry monster who "eats" the worries. 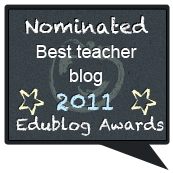 I came across the resource pack, "A Volcano in My Tummy" while doing some work as a substitute learning support/resource teacher a few years back. Brown University have shared a preview of the book. You can download it for free here. I really like the outline of the person where the children draw/write what happens to their body when they get angry. More of that resource pack has been shared here. So there you have it! If you have any other mindfulness resources/ideas to share, please comment below!